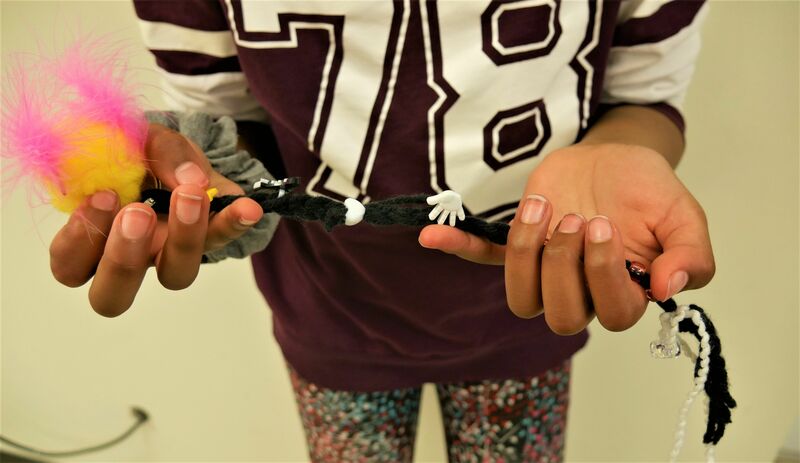 A student uses a Braidy to tell a story. Students learn to use researched-based tools and strategies for visualizing while reading, deepening their understanding of the text. Using the Braidy Model, students learn the elements of storytelling, presenting narratives in writing and videos. Students are introduced to a variety of assistive technologies and organizational tools to aid them as they complete projects, simulations/dramatizations, discussions, and creative writing, exploring common themes across literature and history.